The Burton Prowess Jacket is a nicely insulated jacket that seems to have that streetwear style to it. There’s a little waterproofing (10k) so you should be ok in a light storm, and it would protect you from a decent amount of cold as well. 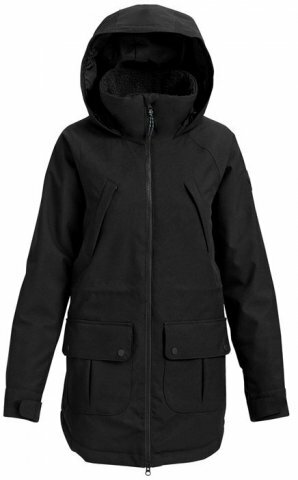 If you’re looking for a jacket that you can wear on and off the hill this could be a good option. We try to get as many images of the Burton Prowess Jacket, but forgive us if they're not all there.